I couldn’t really justify spending that on one jar of cashew butter when I could buy six jars of peanut butter for the same amount. But I still wanted cashew butter – firstly because I was in the process of creating my Vegan Cream of Asparagus Soup recipe and wanted to include it as a plant-based thickening agent, but also because as much as I’m in major-like-mode with peanut butter, I was craving a little variety in my life. And cashew butter is an irresistible flavor of variety! So I decided to make the cashew butter myself. And it was GLORIOUS, because it meant I got to make the cashew butter however I wanted – a.k.a. to incorporate the cacao, raw honey, and salt – plus some grapeseed oil for extra creaminess. The result was a creamy, chocolaty, decadent, whole-ingredient-based and processed-sugar-free delight of a cashew butter! I gotta be honest, when I parsed how much I spent on cashews to make this Creamy Chocolate Cashew Butter and its yield in ounces (10) versus the aforementioned $13.99 store-bought jar (which was 16 ounces), I realized the amount of money I saved making my own was pretty negligible. 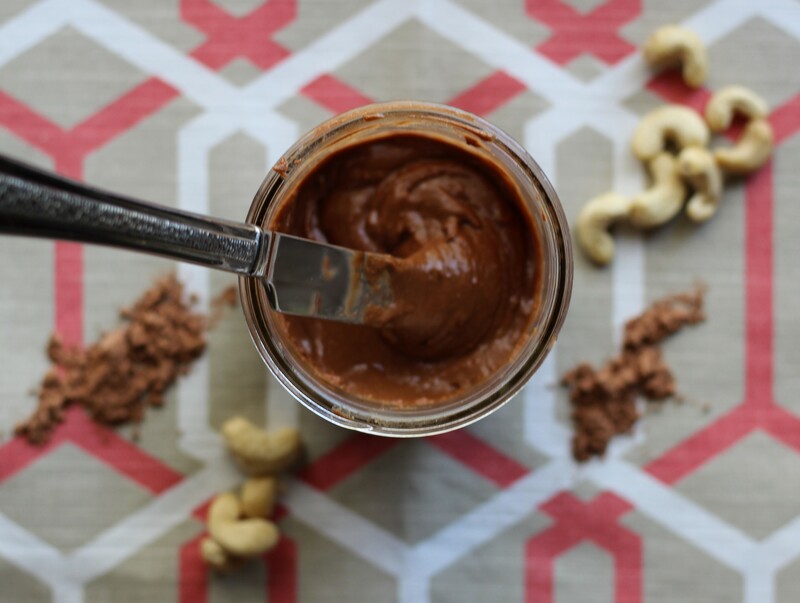 This Creamy Chocolate Cashew Butter is still a bit of a splurge – though peanuts can easily be substituted for the cashews in the times that we are looking to go a more thrifty route. Still, going through the process of making my own nut butter was fun, in a foodie-nerd kind of way, and I am nothing if not a food nerd. PLUS, my nut butter has CHOCOLATE. Can I proclaim my enthusiasm for chocolate anymore on this blog???? What foods conventionally bought in a store do you love making from scratch? Feel free to share in the Comments field below! And speaking of chocolate: if you are interested in buying unsweetened raw cacao in bulk – because that stuff is expensive in stores! – the brand I have been buying for years off of Amazon and am in love with is Healthworks . Their organic unsweetened raw cacao is EXCELLENT, super affordable, and pretty much a centerpiece of my life. I bought the two-pound bag for the first couple of years and upgraded to the five-pound bag with my last order because that’s how much I love and use unsweetened raw cacao (BEST.INVENTION.BY.NATURE.EVER.). One more thing worth noting: this recipe requires a lot of processing, whether you are using a food processor (which I used) or a blender. It’s 10 minutes plus 10 minutes of processing time. 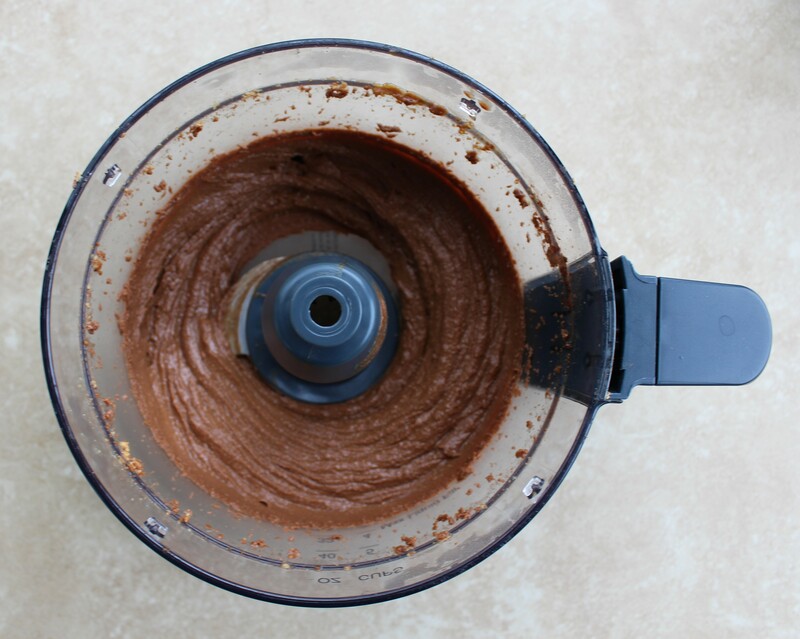 If you trust your food processor, you should be able to leave it and go about your business while it does its thing (I got ready for work while my food processor mixed up my Creamy Chocolate Cashew Butter!). Blenders, in my experience, require more supervision; to my recollection, I’ve never run my blender without keeping a hand firmly planted on the lid at all times. Maybe that’s me and my blender-related paranoia at play (I’m working with my college-era cheapie blender, not a top-of-the-line model), but in any case, use your best judgment on whether you feel comfortable letting your machine do it’s thing on its own or would rather have your watchful eyes – and hands – on it at all times. OK, on to the recipe and creamy, chocolately, cashewy, goodness! 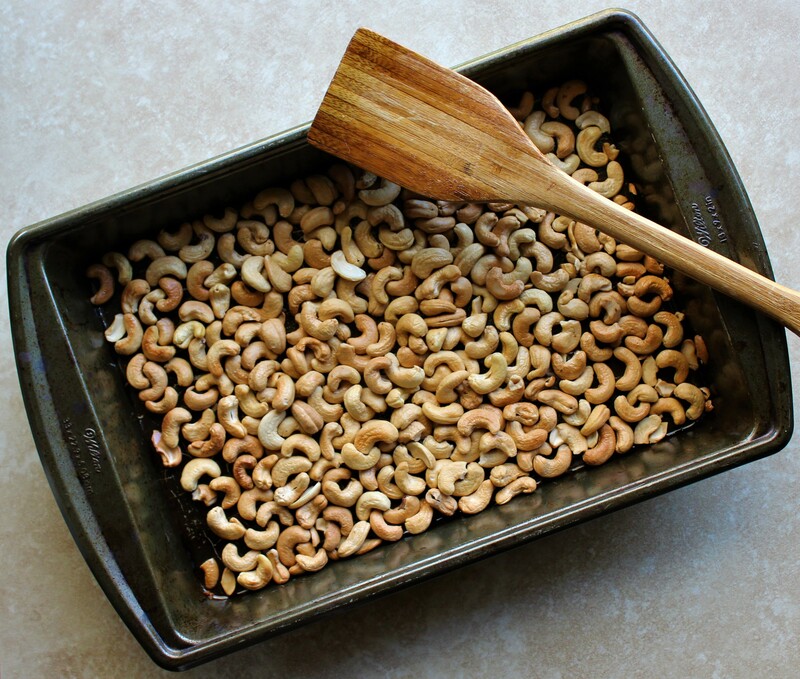 Scatter cashews evenly across the surface of an oven-safe baking dish or cookie sheet and drizzle with one tablespoon of the oil. Roast the cashews until a golden-brown color is achieved, stirring them every five minutes to ensure even cooking; this should take about 15 minutes or so. Let the cashews cool, then add them to a food processor or blender. Let blend until a creamy consistency is achieved. This is a process that should take about 10 minutes using the low setting on a food processor. At first, the cashews will be crumbly; then they'll clump together in a dough-like ball. But stick with it! You can pause the food processor or blender periodically to scrape the sides of the mixing container and redistribute the cashew mixture to help ensure even mixing. But even if you don't, by the end of the 10 minutes - like magic! - you should have a creamy, silky nut butter. Now it's time to add the remaining two tablespoons of oil, unsweetened raw cacao, honey, and salt. 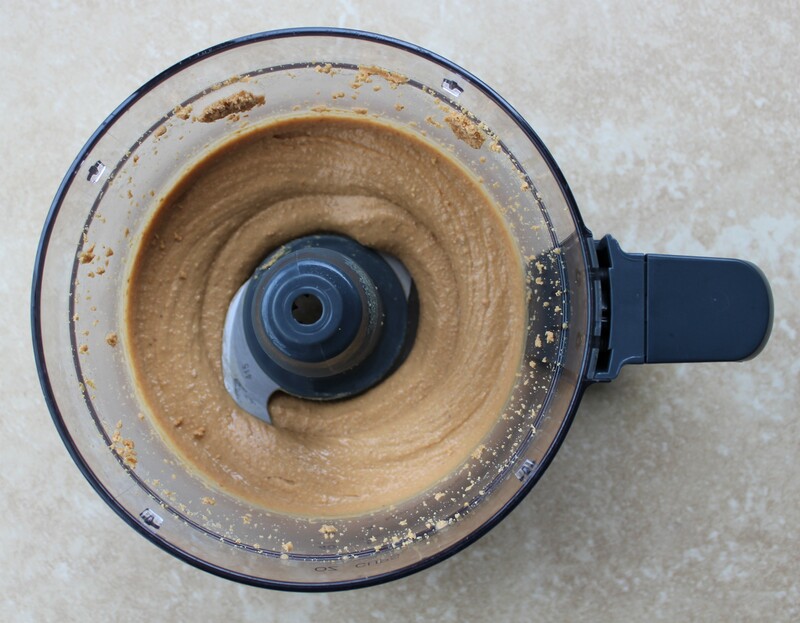 Start your food processor or blender again and let run for another 10 minutes, pausing to scrape the sides of the mixing container and manually mix the cashew butter as needed. 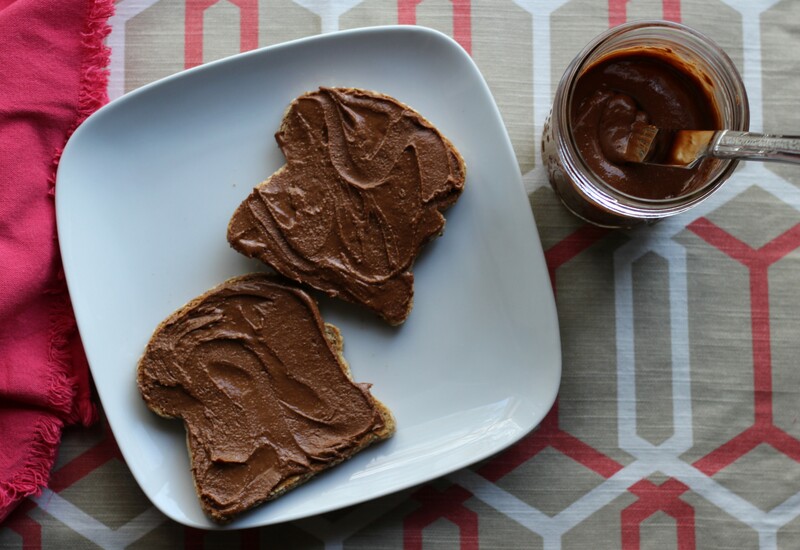 It will be thick again, but after the 10 minutes, it should have transformed into a beautiful Creamy Chocolate Cashew Butter that is perfect spread on toast, used as a dip for fruit, and eaten straight-up by the spoonful. Store in a sealed airtight container, either in a cool, dry cupboard at room temperature (if anticipating to eat within a week) or in the fridge (ideal when planning to keep for a week or two).